Improved aesthetics and consumer value for all TK kits with snap-on cover for use when rack system is removed. 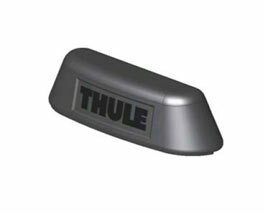 Cover provides a finished look to TK base when rack system is removed from vehicle. Included in all TK bases beginning Jan 2007. Enhancement to offset competitor equivalent product feature positioning. Running change to existing TK Kits � no change to part #�s. TKCAP (set of 4 covers) available as upgrade kit for existing TK systems.